This tutorial shows you how to sharpen images in Photoshop using the High Pass filter. You'll learn how image sharpening works, why the High Pass filter is the perfect tool for sharpening images, and how to combine High Pass with Photoshop's blend modes for amazing sharpening results! 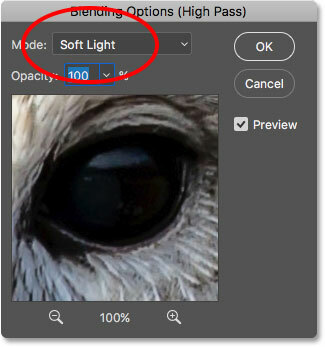 When it's time to sharpen an image, most Photoshop users instinctively turn to either the Smart Sharpen or Unsharp Mask filters, unaware that the High Pass filter, while not technically a sharpening filter, can give us results as good as, or even better than, Photoshop's actual sharpening filters, while at the same time being much easier to use. Good image sharpening means sharpening the edges around objects without sharpening anything else. 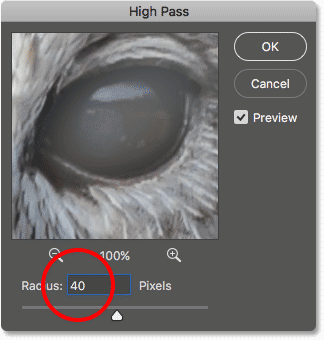 What makes the High Pass filter such a powerful tool for sharpening images is that it's able to detect those edges while ignoring areas that are not an edge. We can then combine the results from the High Pass filter with one of Photoshop's blend modes to easily sharpen the edges while leaving the rest of the image untouched. Let's see how it works. When using the High Pass filter to sharpen an image, the best way to work is to apply High Pass as a Smart Filter. This keeps the sharpening effect separate from the image itself and avoids making permanent changes to the original photo. To apply High Pass as a Smart Filter, we first need to convert the Background layer into a Smart Object. To really understand why the High Pass filter is such a great tool for sharpening images in Photoshop, we first need to understand how image sharpening works. After all, we don't physically sharpen pixels the way we'd sharpen a set of knives. So what does "image sharpening" even mean? Much like any good magic trick, image sharpening is an illusion. It works by increasing contrast along the edges of objects in an image. 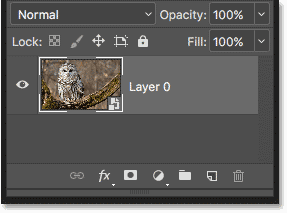 Photoshop can't recognize specific objects, of course, so it considers an edge to be any area where there's a big, sudden change in brightness or color between neighboring pixels. Increasing contrast along the edges makes the light side of the edge lighter and the dark side darker. Your brain then sees the increased contrast as "sharper". The more we boost the edge contrast, the sharper the image looks. But really, image sharpening has nothing to do with "sharpening" pixels. Instead, it's all about increasing edge contrast. 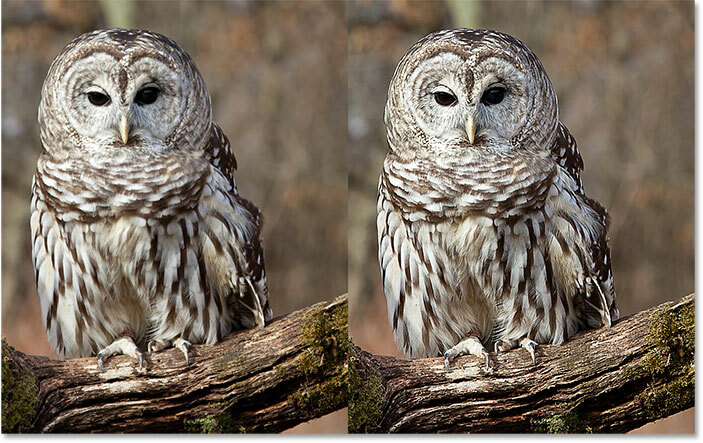 Why Use The High Pass Filter To Sharpen Images? So if we sharpen images by increasing edge contrast, what does that have to do with Photoshop's High Pass filter? Well, before we can increase contrast along edges, we first need to find those edges, and that's where the High Pass filter comes in. High Pass is an edge-detection filter. It looks specifically for edges in the image and highlights them. Areas that are not an edge are ignored. 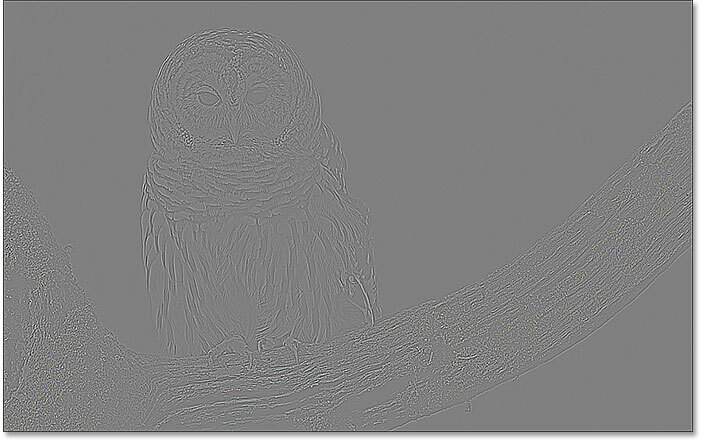 Once we have the edges highlighted, we can then combine the High Pass filter's results with one of Photoshop's contrast-boosting blend modes (as we'll see a bit later on) to easily increase contrast along edges without affecting the rest of the image. The High Pass filter's dialog box is very easy to use. There's a preview window at the top and a Radius slider along the bottom. 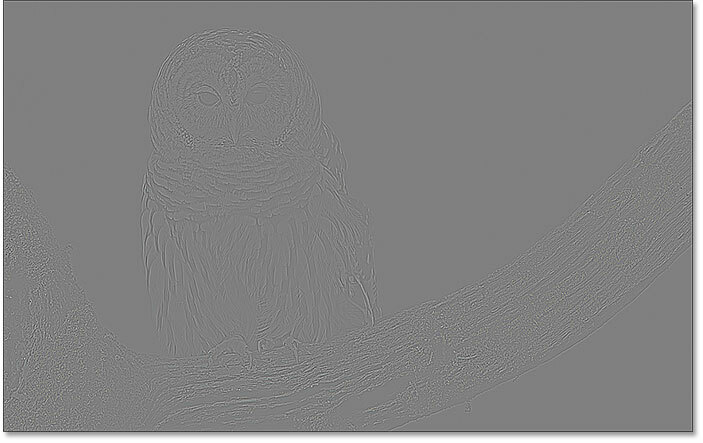 As I mentioned, the High Pass filter detects edges in the image. The Radius value controls how much highlighting to apply to those edges. Any areas that are not an edge are filled with neutral gray. Setting Radius to the lowest value. I mentioned earlier that the Radius value controls the amount of highlighting that's applied to the edges, but that's an oversimplification. What the Radius value actually does is it determines how many pixels on either side of an edge should be considered part of the edge. 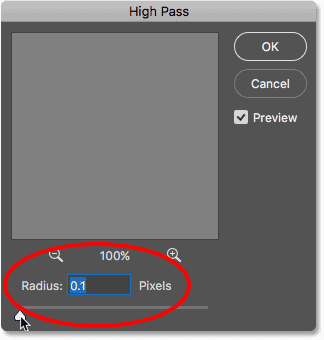 For example, a Radius value of 1 pixel would mean that Photoshop would include only a single pixel on either side of the edge; one pixel on the light side and one pixel on the dark side. But if we increased the Radius value to, say, 10 pixels, then Photoshop would extend the width of the edges to 10 pixels on either side. That explains why we couldn't see the edges when we initially lowered the Radius value down to just 0.1 pixels. Photoshop was including only one tenth of one pixel on either side of the edges, making the width too narrow to notice. 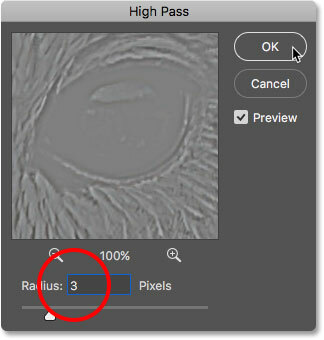 But when I increased my Radius value to 4 pixels, Photoshop extended the width of the edges out to 4 pixels on either side, making them wide enough to be easily seen. Remember, sharpening works by increasing contrast along edges without affecting any other areas. So for the best sharpening results with the High Pass filter, choose a Radius value that's just large enough to bring out the highlights while keeping those highlights as close to the actual edges as possible. Lowering the Radius value to a more reasonable 3 pixels. The High Pass result using a Radius value of 3 pixels. Double-clicking on the Blending Options icon. Changing the blend mode of the High Pass filter to Overlay. 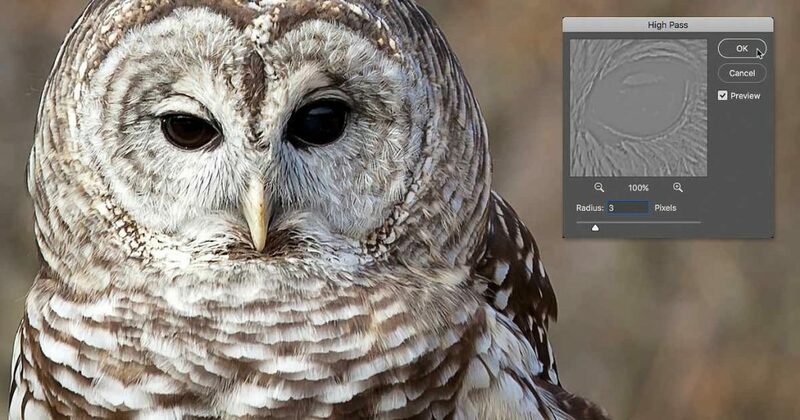 The Overlay blend mode hides any areas of neutral gray, so all of those non-edge solid gray areas created by the High Pass filter instantly disappear from view. It then uses the lighter highlights to lighten the light sides of the edges even further, and the darker highlights to darken the dark sides. 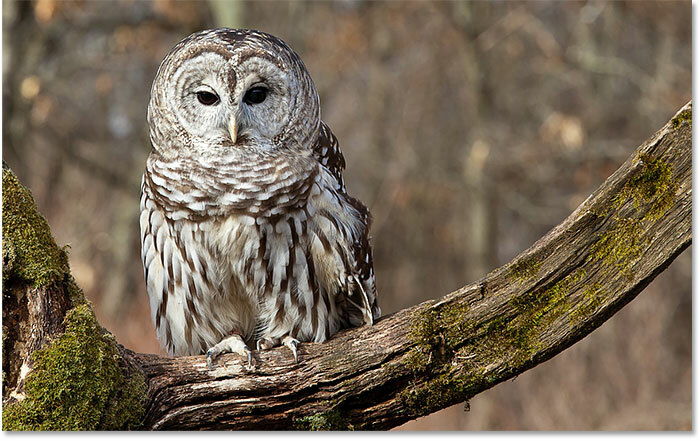 This boosts the contrast of the edges and creates the illusion of a sharper image. A before (left) and after (right) comparison of the sharpening effect. Soft Light creates a less intense sharpening effect than Overlay. Hard Light creates a more intense sharpening effect. 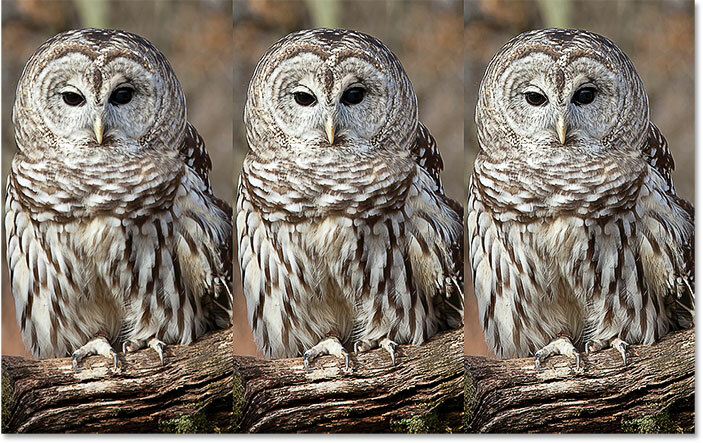 The Soft Light (left, least intense), Overlay (center, average) and Hard Light (right, most intense) blend modes. Clicking the visibility icon for the High Pass filter. The original image before sharpening. 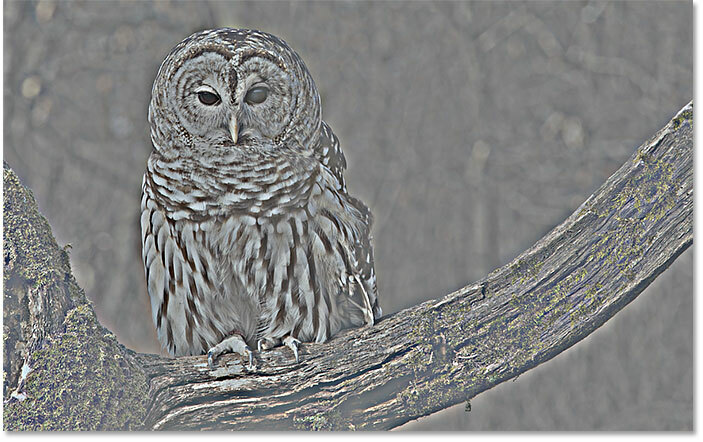 The image with sharpening applied. And there we have it! That's how to easily sharpen images with professional results using the High Pass filter in Photoshop! Visit our Photo Retouching section for more image editing tutorials!